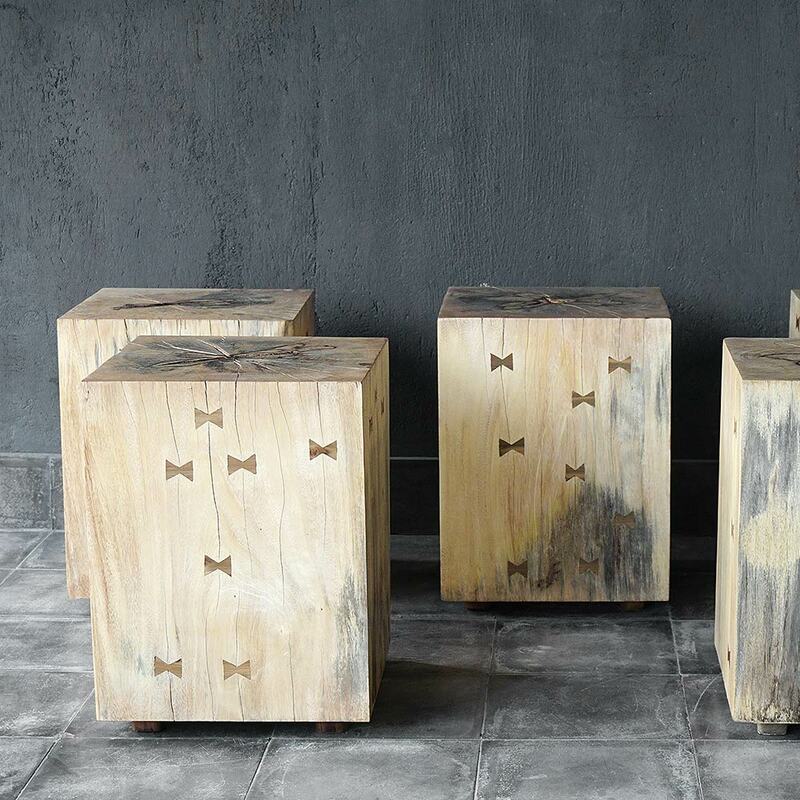 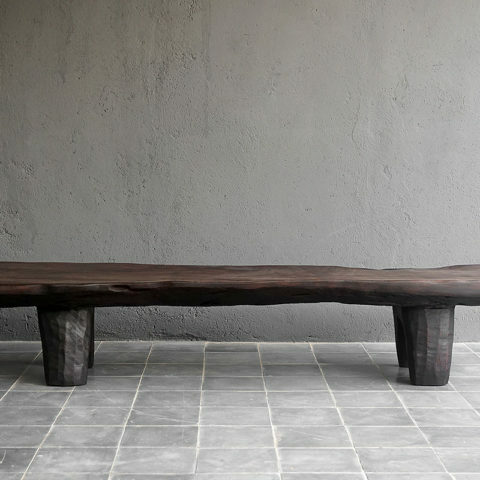 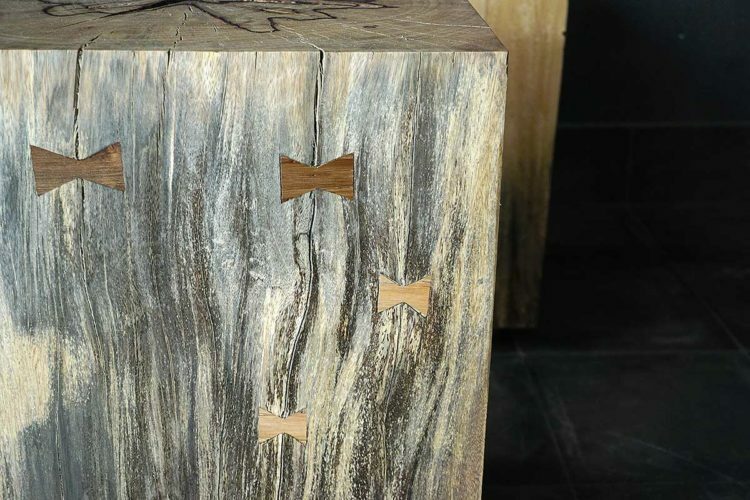 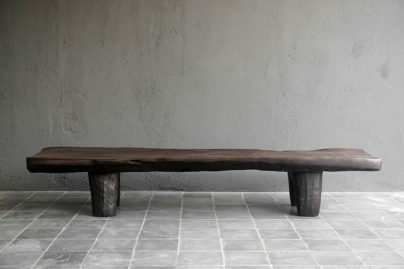 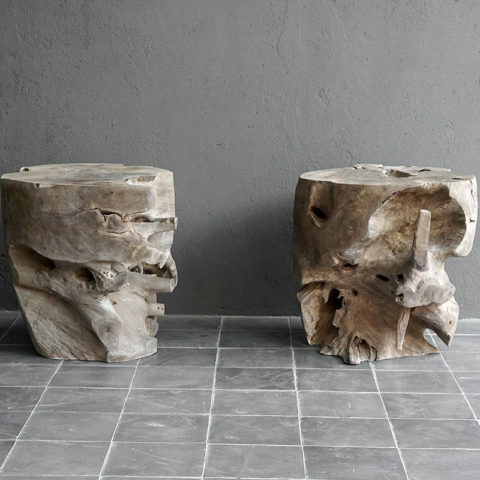 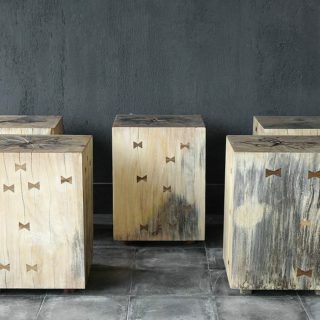 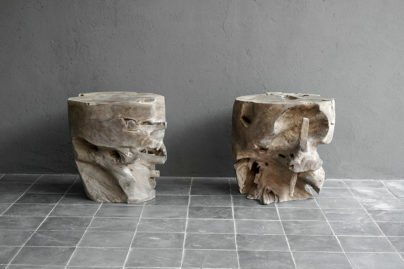 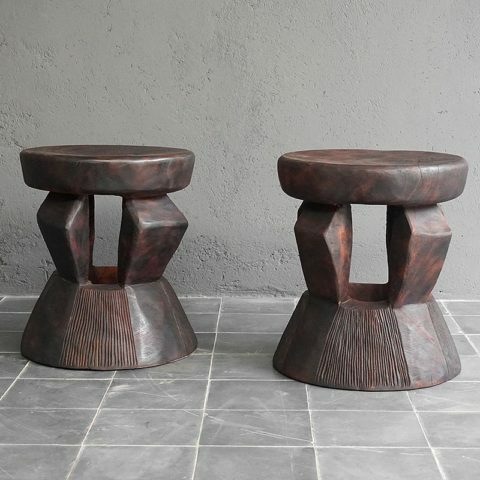 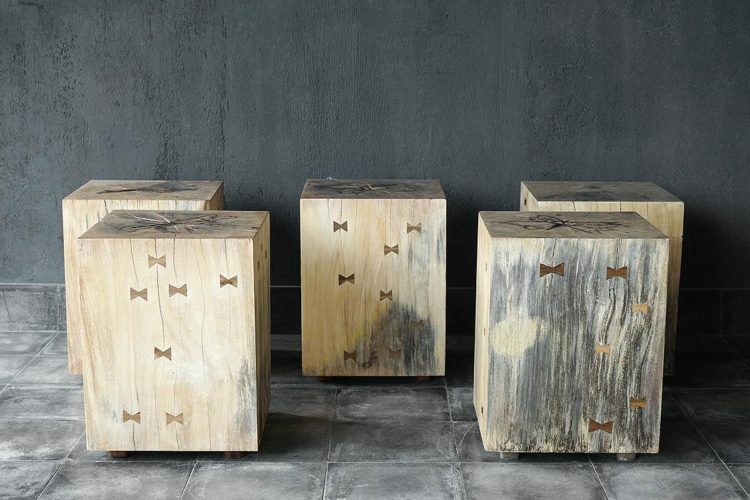 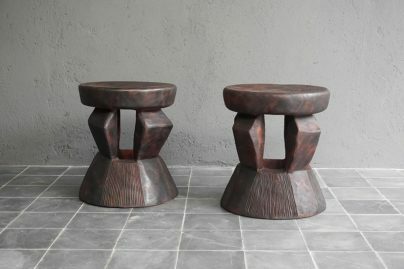 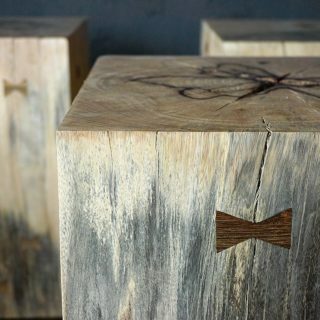 CUT FROM A SINGLE, RECLAIMED TAMARIND TREE, THESE PIECES CAN BE USED AS A SIDE TABLES OR STOOLS. 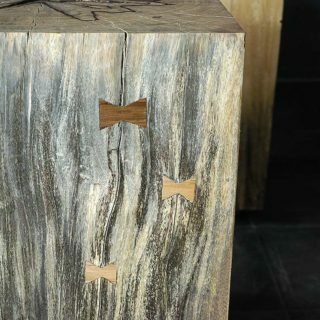 THE WOOD GRAIN IS LEFT NATURAL SO WILL SHOW WITH VARIOUS COMBINATIONS OF GREY AND BROWN. 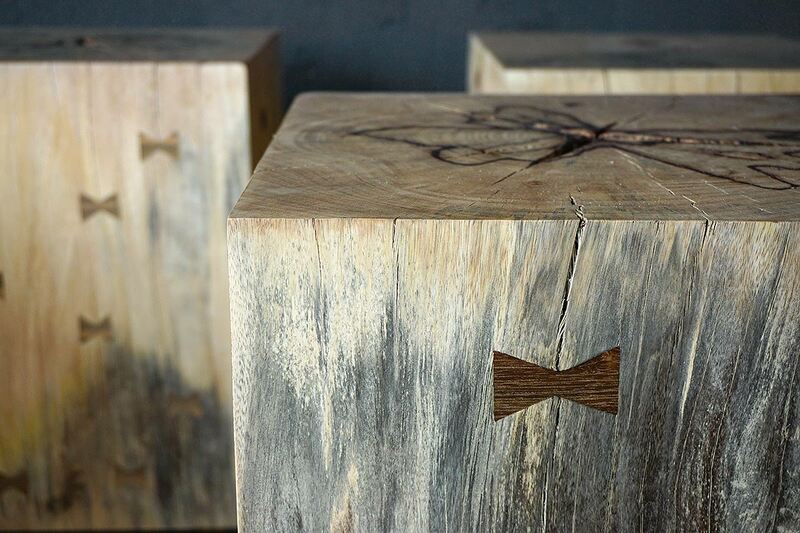 EACH PIECE WILL VARY.